Last week I opened my mail to possibly the best thing I could've seen. New planners! If you don't know about my obsession with day planners by now, then you will after this. This past year I couldn't find the prefect planner for college. My high school one wasn't enough, and the new ones I found were too much. But the Susy Jack for Blue Sky Planners may be just the thing I've been looking for. The smaller teal planner had both monthly and weekly breakout sections. The planner is colorful, but not overwhelming and it has just enough space and lines to fit all my assignments and activities and little descriptions of each. The cover of the agenda is interchangeable which makes it the perfect place to put your daily to-do list. 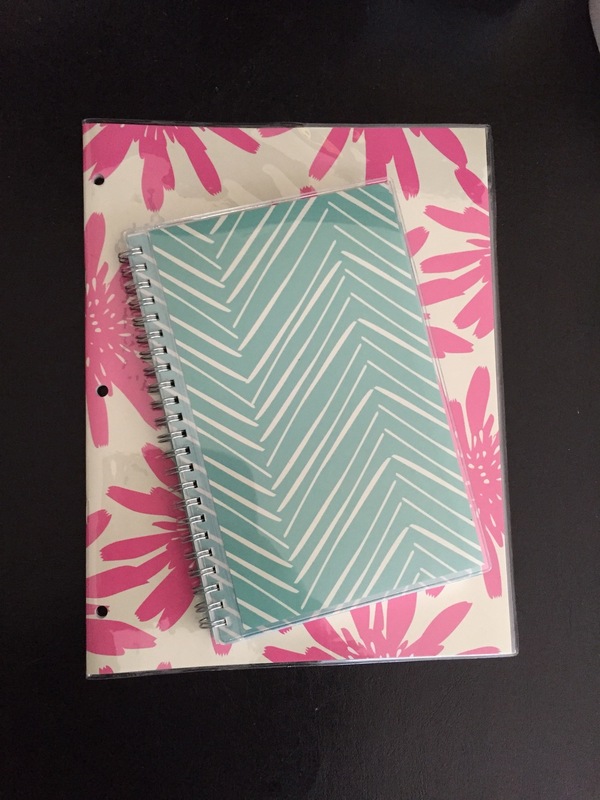 The planner is small and sturdy enough to put in your purse or backpack without worrying about it getting destroyed, but big enough to fit everything you need. The larger pink planner is a thin monthly calendar that's been three hole punched. The whole Susy Jack collection is so adorable that I'm hoping to be able to put this agenda into one of the binders from the collection. It's perfect for tracking assignments and scheduling which days to study what. I love the large size because I can actually fit everything into the monthly calendar that I need to without cramming everything in. In addition to these they have 8.5x11 weekly/monthly, and binder inserts of the smaller version. These will all be available at Target until mid-June! My Mid-Year Day Designer finally came in the mail this week! After using what feels like every type of planner/agenda possible, the Day Designer has been the only one that has given me the space and ability to have everything I need in one place. As you may know I'm addicted to planning. My obsession with planners has reached an all time high. I think I was using four or five at once at one point last semester. So to say I've used a lot of different types of planners would be an understatement. Every since I was younger I've had an obsession with cute notebooks. This obsession has since grown to a love of pretty agendas. While using my many pretty agendas I've found that there is not enough space to plan out my day or write all of the tasks I need to complete. This is where my day planner addiction began.